A gorgeous, big display has always been one of the signature features of the iPad, and it still is today. That display can become an ugly mass of fingerprints and germs with our normal use of the tablet though – just as can happen on any touchscreen device. That’s where Mobile Cloth becomes an iPad user’s trusty friend. I first reviewed Mobile Cloth more than 4 years ago, and I went into that review feeling like one cleaning cloth was much like another. I soon found out that Mobile Cloth is a clear cut above – and I still nearly always have one around all my devices and use them on a daily basis. My thanks to Mobile Cloth for being a long-time site sponsor and a site sponsor this week. Check them out at the link below and use the code to get an iPad Insight reader discount. My thanks once again to Mobile Cloth for being a site sponsor this week. I’m a long-time big fan of these cleaning cloths for the iPad and all my touch screen devices. Check out the excellent video above, done by my friend and colleague here Thomas Wong, which really shows off how well these work. My thanks to Mobile Cloth for being a site sponsor this week. They make the first cleaning cloth for the iPad that ever stood out from the rest to me, and I’ve been using them for years now. They work faster and better than any other cloth I’ve seen. I’ve always got one handy for use on my iPad, my smartphone, and any touch screen device I happen to be using. I also love the video above too, done by my good friend and colleague here, Thomas Wong. Big thanks to Mobile Cloth for being a site sponsor again this week. They’re one of my first-ver site sponsors and one of my all-time favorite iPad accessories. And definitely among my most-used accessories with my iPads and all my mobile devices. I’ve tried out all sorts of cleaning cloths, and Mobile Cloth is still the champ for keeping my touch screens clean. Check out my friend Thomas’ excellent video above to see how well Mobile Cloth works. If you are a new iPad user or a seasoned veteran you are very aware of the constant fingerprints and smudges clouding up your beautiful “retina” display. MOBiLE CLOTH is easiest, fastest, safest solution. A few swipes with our unique cloth and your screen will look like it just came out of the box! Patrick J. of iPad Insight wrote in his original review “color me pleasantly surprised, and well impressed”. Canada’s largest iPhone/iPad blog exclaimed “it’s the best cleaning cloth I’ve ever used” and Beatweek Magazine gave MC “5 out of 5” stars. Being long time supporters of iPad Insight we at Mobile Cloth wanted to do something special for the readers…Be a true FAN, fly the team flag! Big thanks to Mobile Cloth for being our site sponsor again this week. They’ve been an essential iPad accessory for me ever since I first tried them out. My thanks to Mobile Cloth for being a site sponsor again this week. Cleaning cloths are a sort of unsung hero type accessory for the iPad and touchscreen devices, and Mobile Cloth is the best I’ve seen. It’s been a favorite accessory of mine for years now and it continues to do a stellar job on my iPads and other mobile devices. Check them out at mobilecloth.com. My thanks to Mobile Cloth for being a site sponsor again this week. If you’ve been reading here for any length of time you know that Mobile Cloth is one of my all-time favorite iPad accessories. 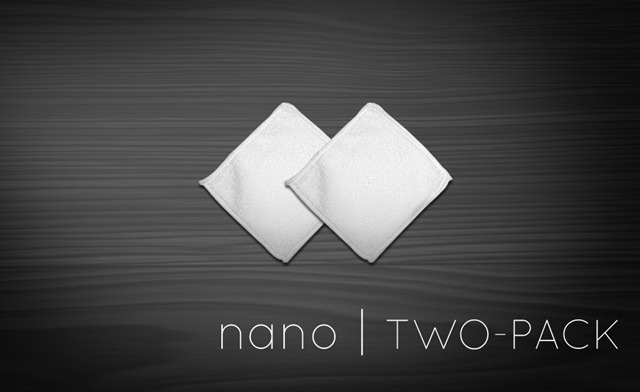 I’ve used a number of different cleaning cloths, and get many of them offered as review units, and still haven’t seen any that are as effective as Mobile Cloth. 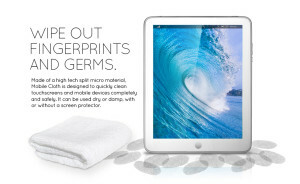 I know cleaning cloths are far from the most glamorous or high-tech of accessories, but if you use one or more touchscreen devices they are super handy to have around to keep those screens free of smudges, fingerprints, and germs. Check them out at mobilecloth.com. Big thanks to Mobile Cloth for being our RSS feed sponsor again this week. This is my favorite non-glamorous, workaday accessory for my iPads and all my touchscreen devices. I’ve used all sorts of different cleaning cloths for these devices, but Mobile Cloth is still easily the best I’ve seen for the fastest, easiest, best clean every time. My thanks to Mobile Cloth for sponsoring our RSS feed again this week. 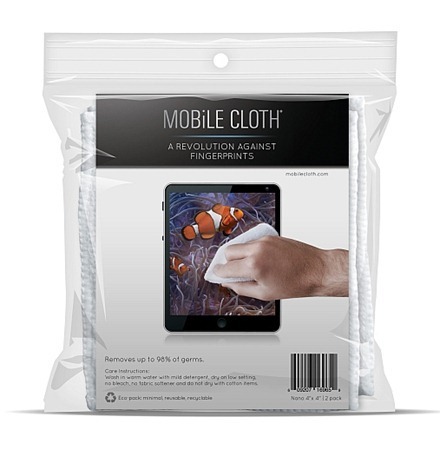 Mobile Cloth is a screen cleaning cloth for the iPad, iPhone, and touch screen devices. Not by any means the most exciting of iPad accessories – but absolutely one of the most useful. 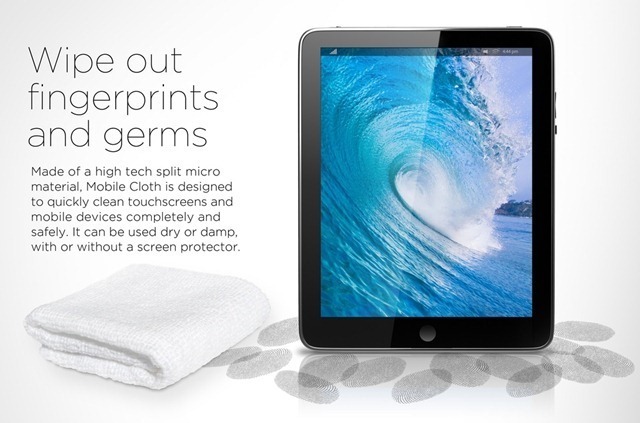 The iPad screen has always been a magnet for smudges and fingerprints, so there’s always plenty of work for a cleaning cloth. I’ve used lots of different cleaning accessories for the iPad and Mobile Cloth is still by far and away the best I’ve tried. They come in standard handkerchief and nano sizes and there’s a special discount offer for our readers. Special offer for iPad Insight readers ENTER “INSIGHT” Free Shipping and 25% Off all orders over $25.